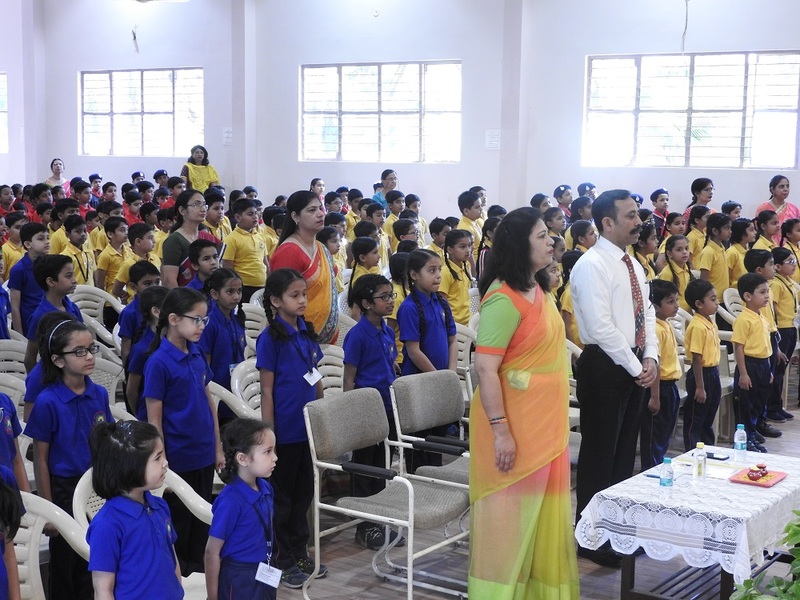 JUNIOR SCHOOL ECHOING WITH STUNNING MOMENTS. 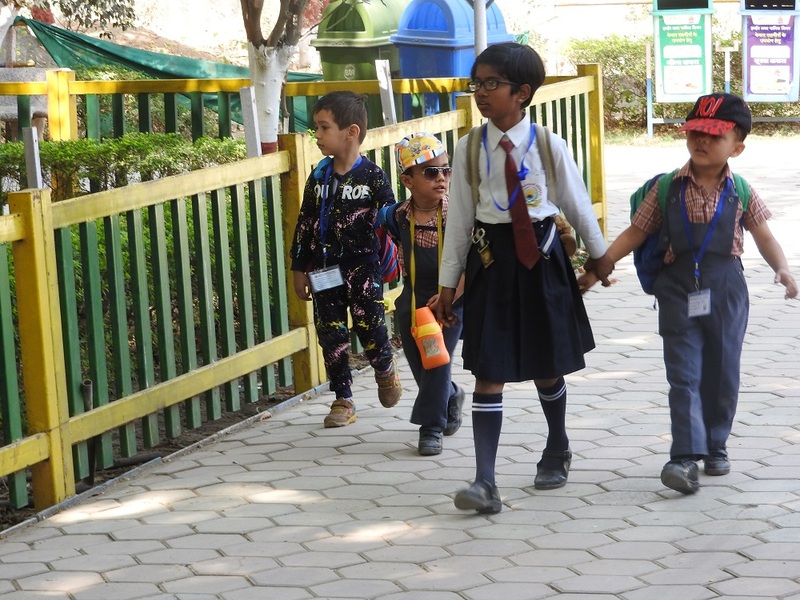 Stepping into a new session 2019-20 remind in that an institution is not just about bricks, mortar and concrete but about building character, enriching mind and experiences that last a life time. 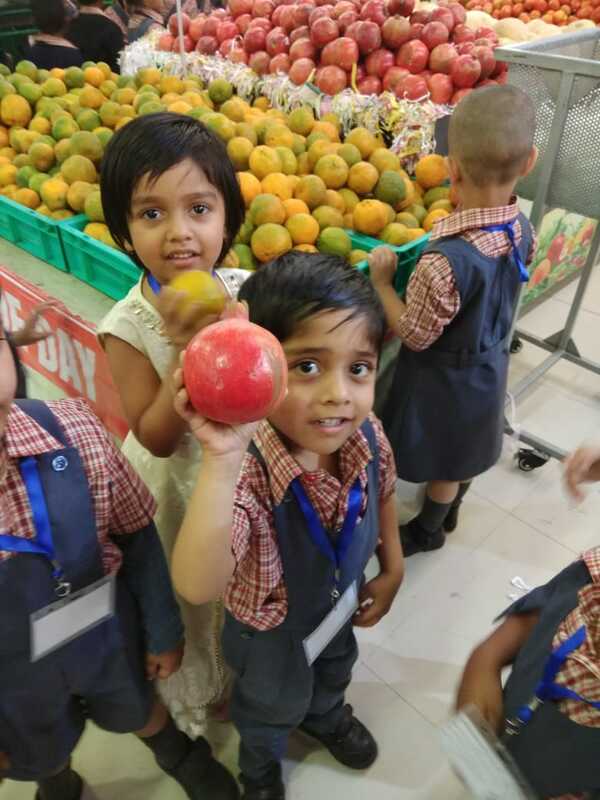 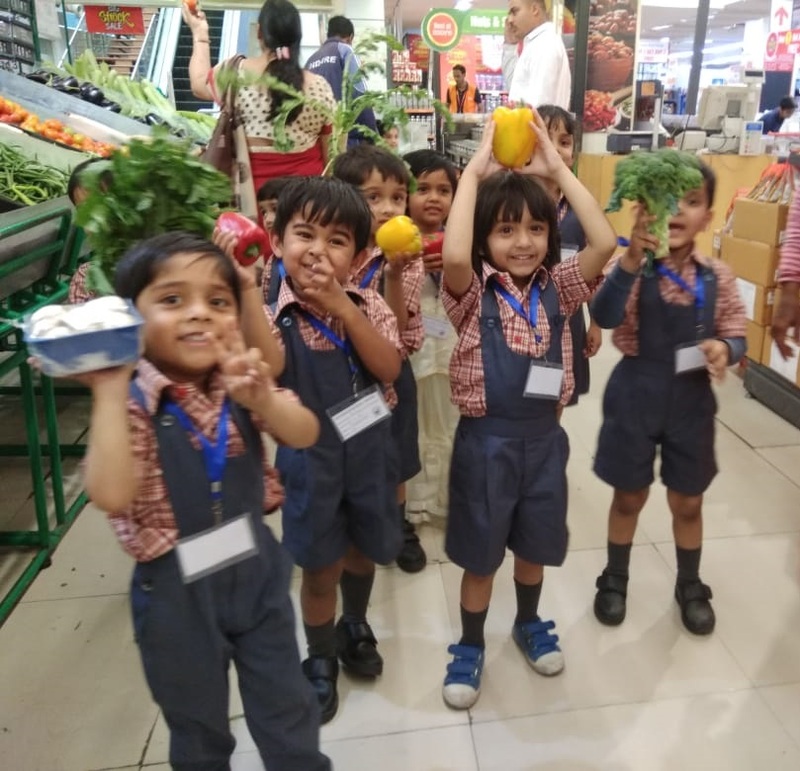 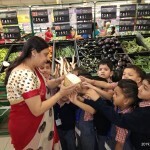 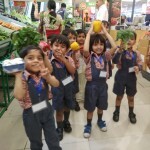 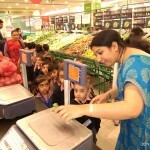 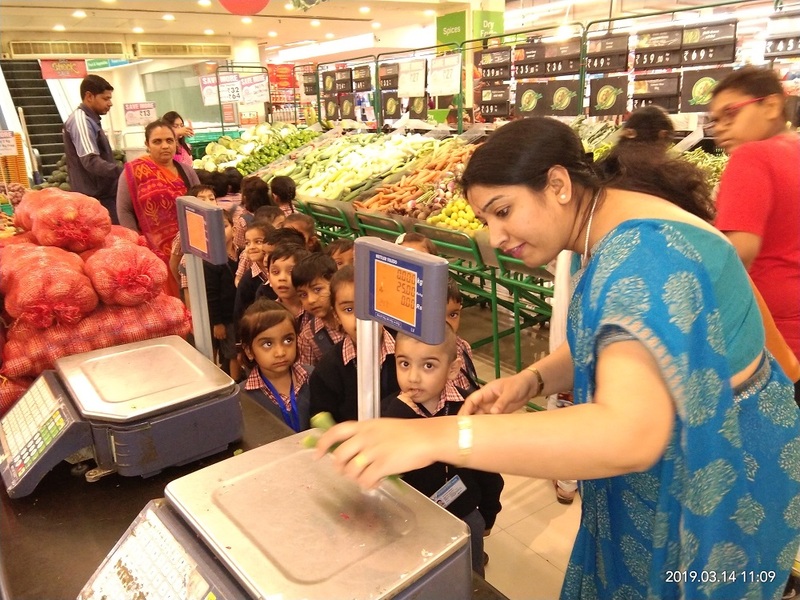 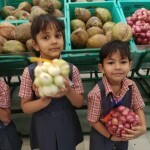 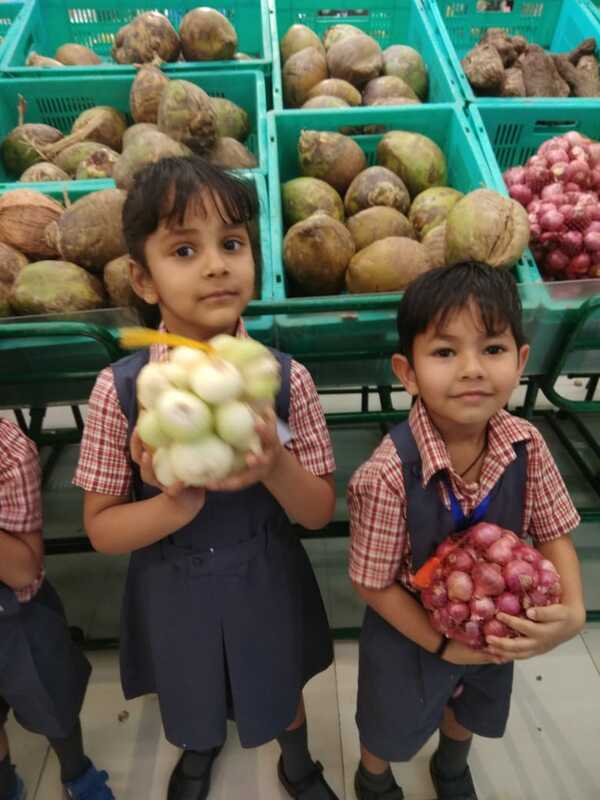 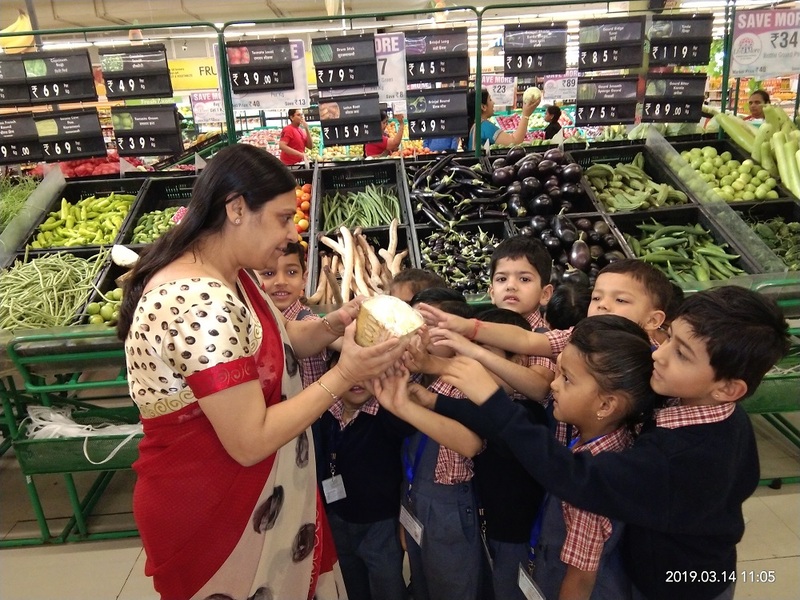 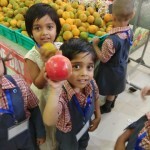 Pre-Primary students on their Vegetable and Fruit day went to Vegetable market. 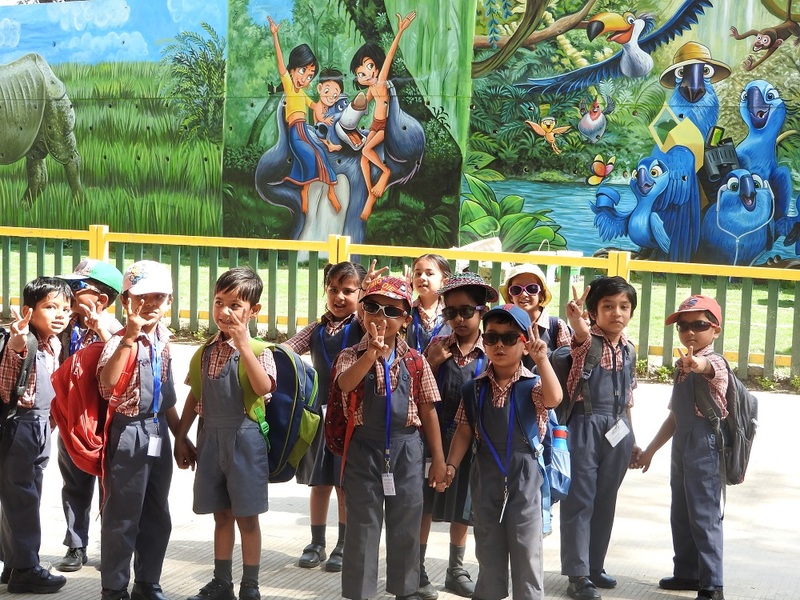 The visit of the students beyond the boundaries of the school provides access to quality education that is practical, relevant, customized and effective. 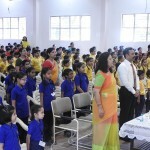 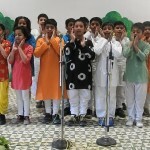 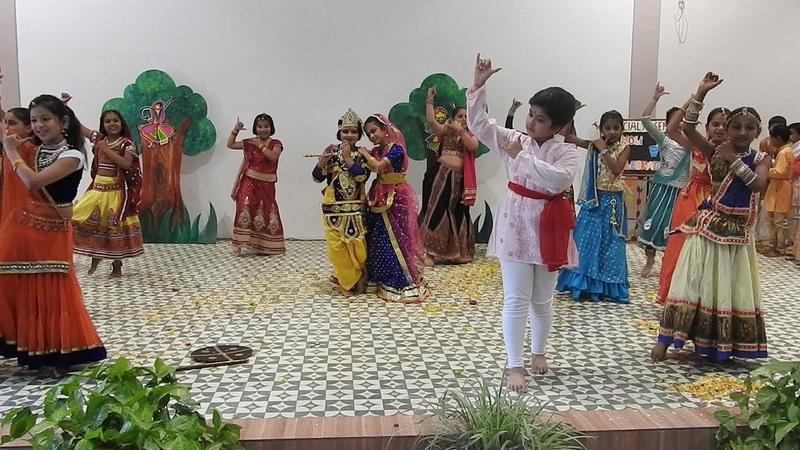 A child friendly school which combines the best of the tradition with a modern approach to learning. 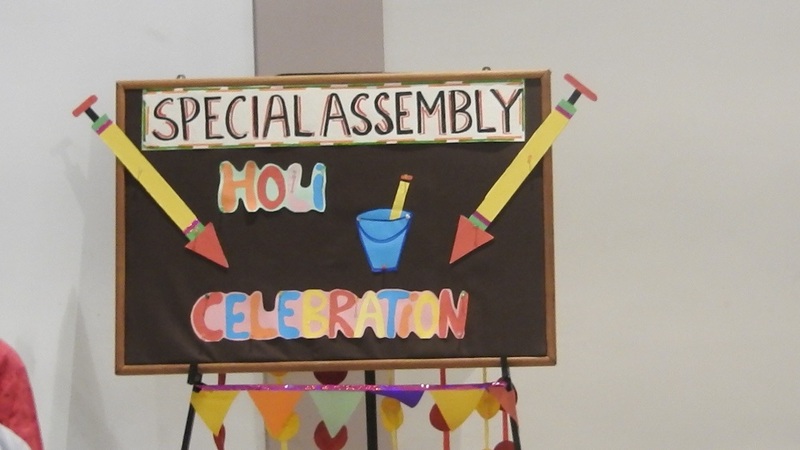 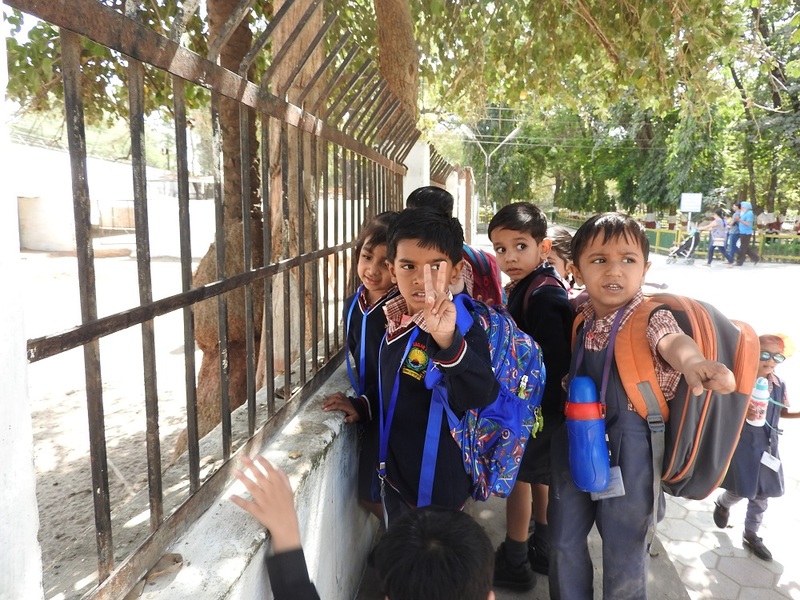 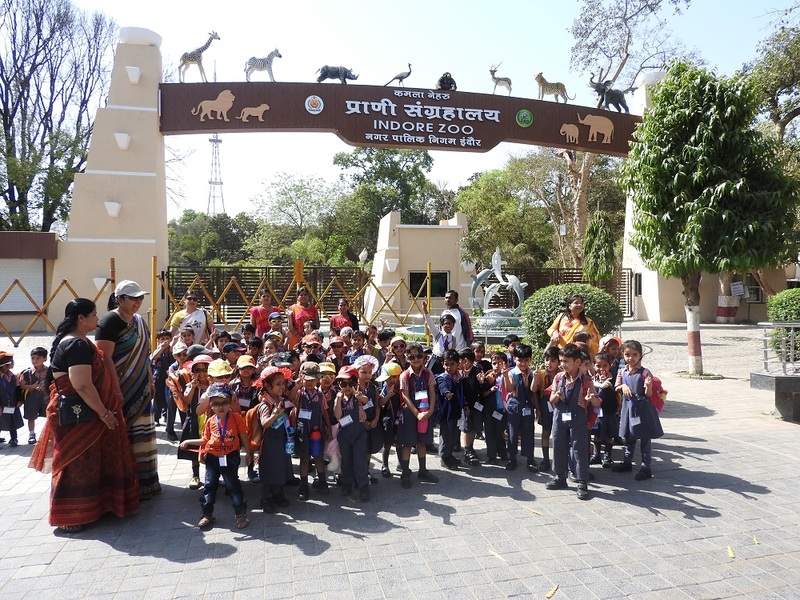 The school also perpetrates the joy of learning through excursions where due emphasis is laid on socializing. 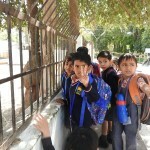 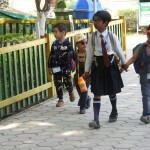 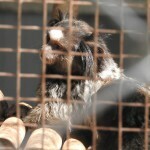 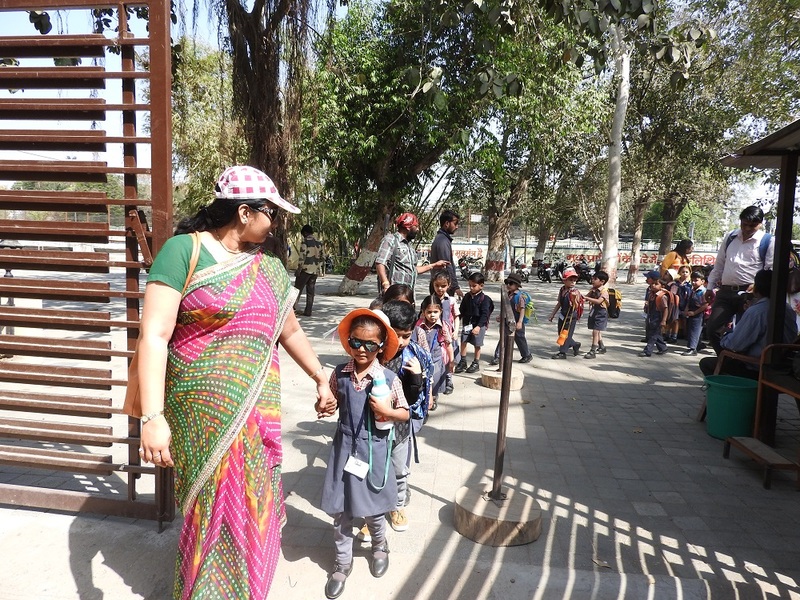 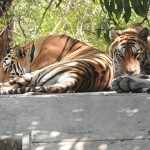 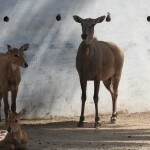 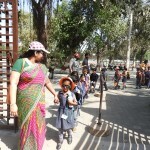 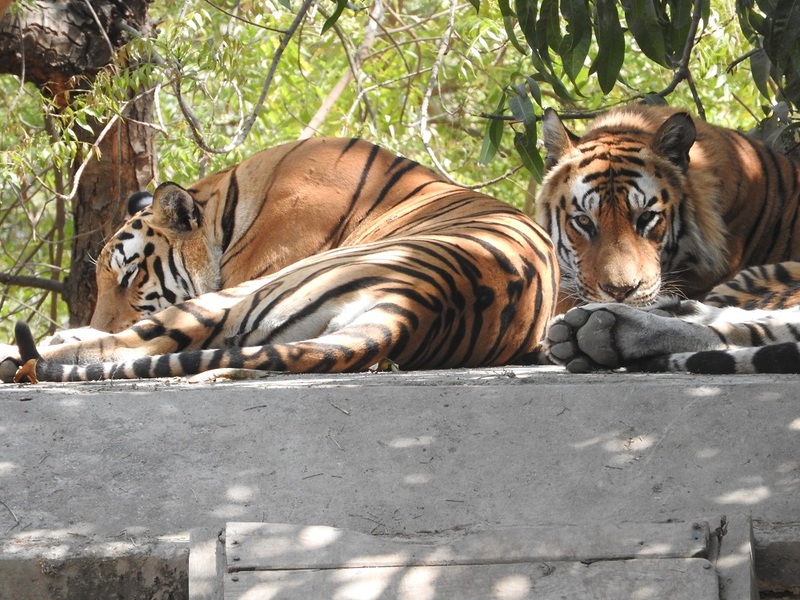 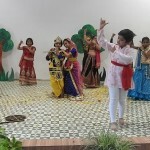 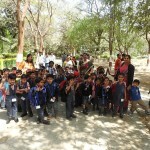 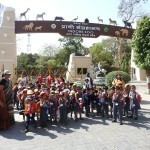 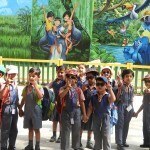 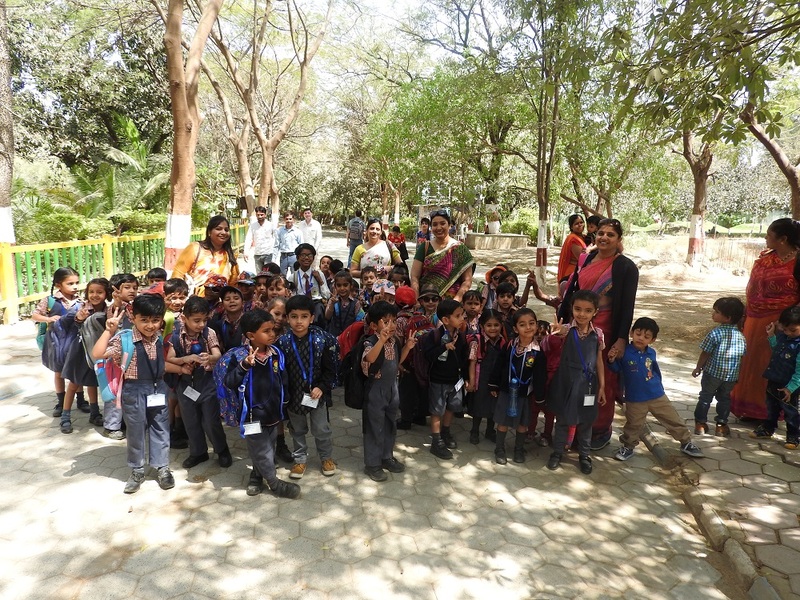 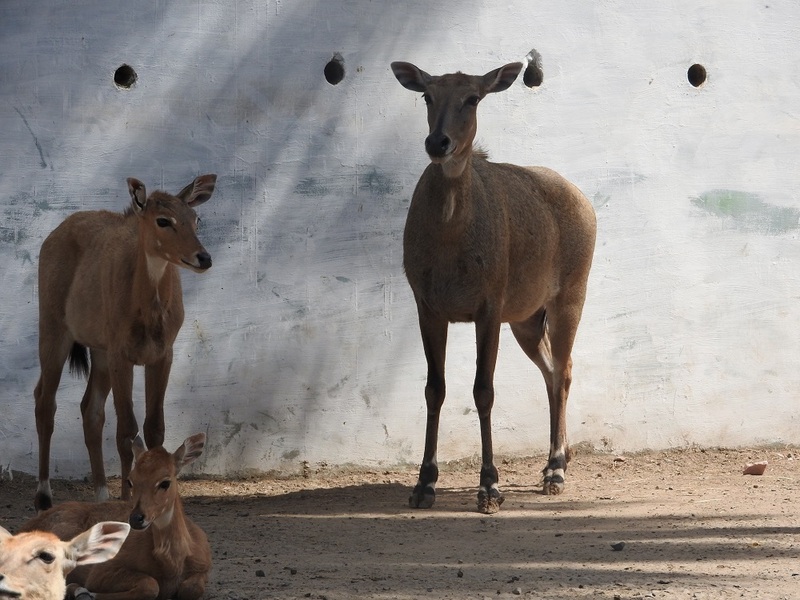 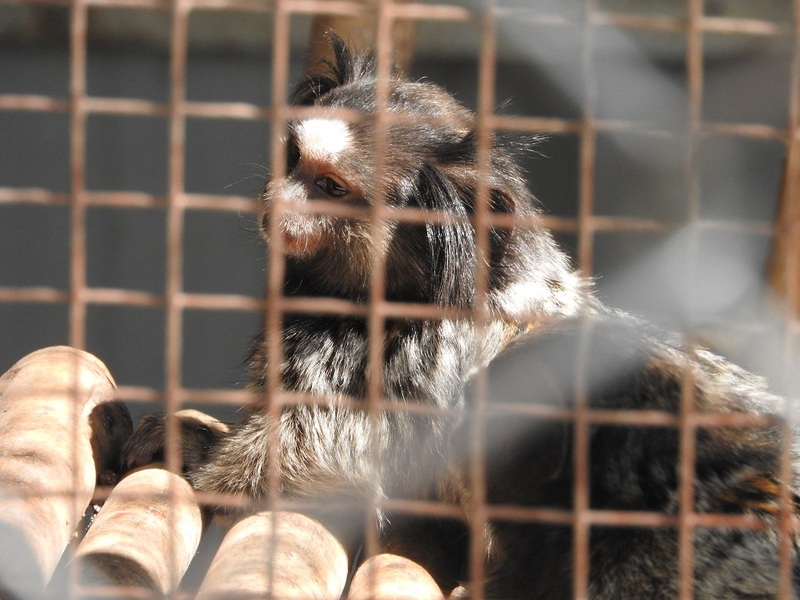 Summer Day of the Pre-Primary kids was celebrated in the Animal Kingdom i.e ‘Zoo’. 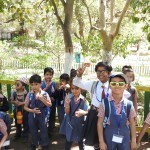 Kids in their sun glasses, caps and hat along with ice-cream cups made their day . 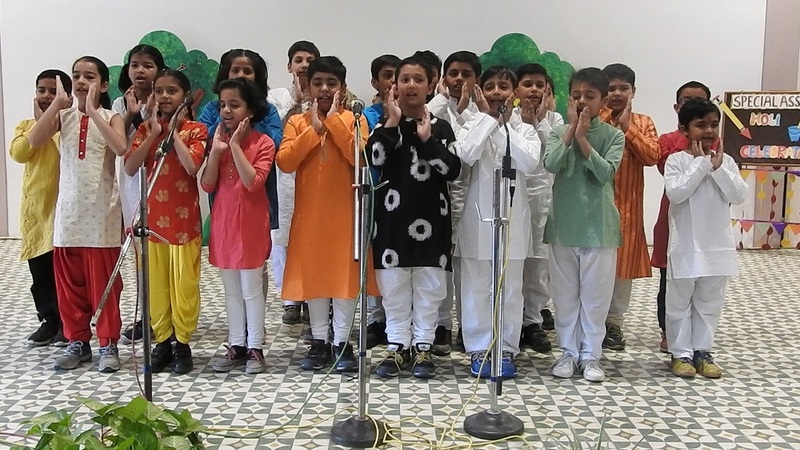 It is important for students to be culturally aware. 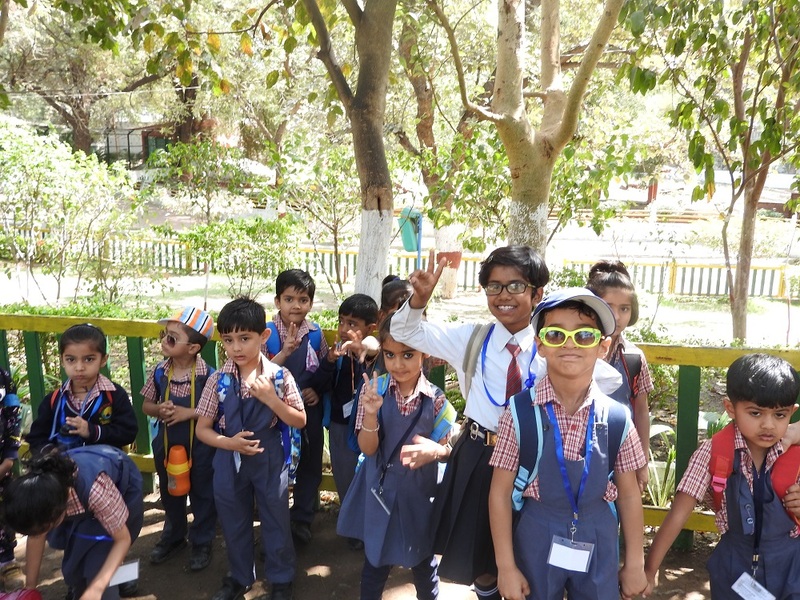 Learning about our culture, languages, religions and helps the children to build up curiosity, tolerance and respect for others. 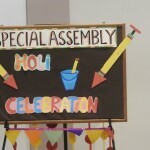 Holi is considered as one of the revered and celebrated festival of India. 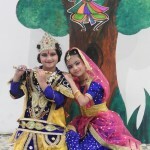 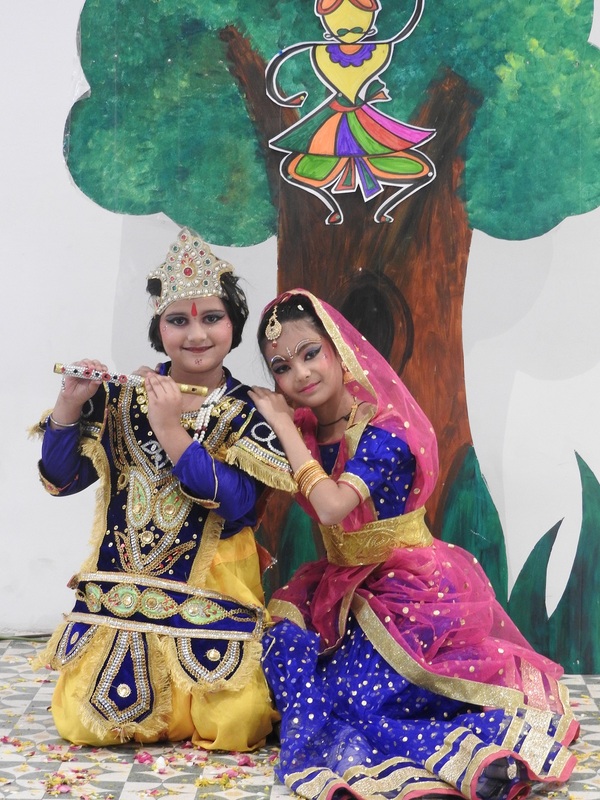 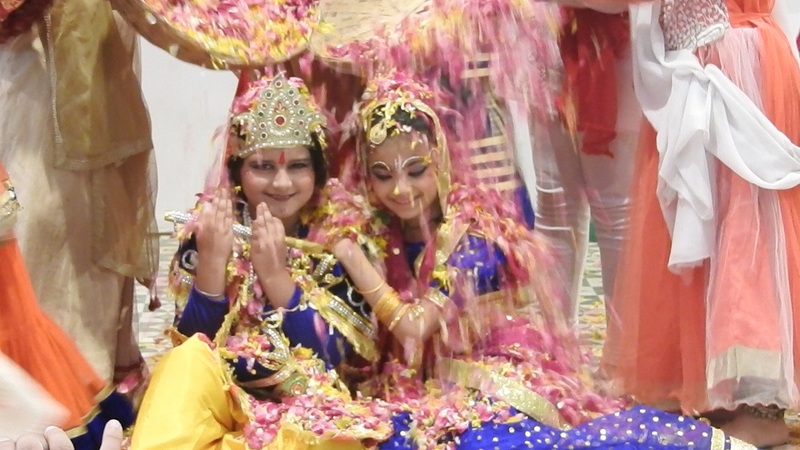 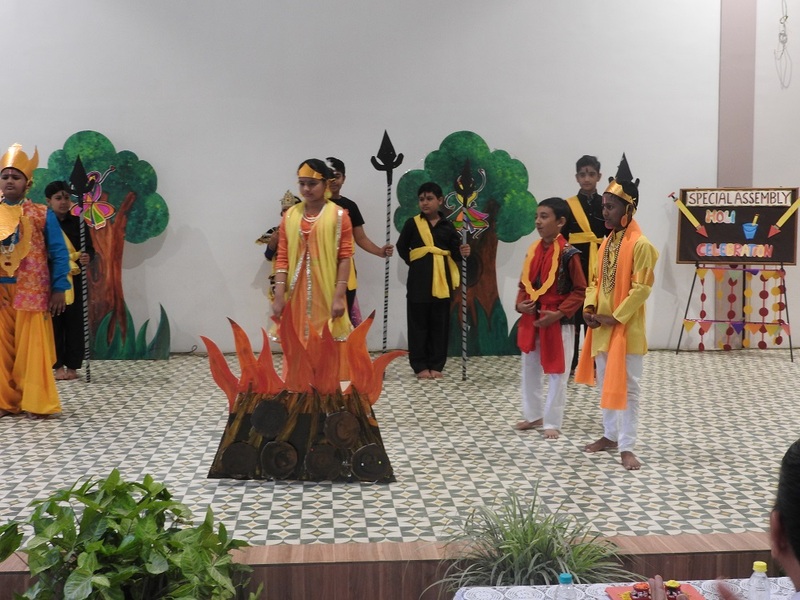 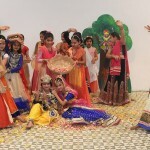 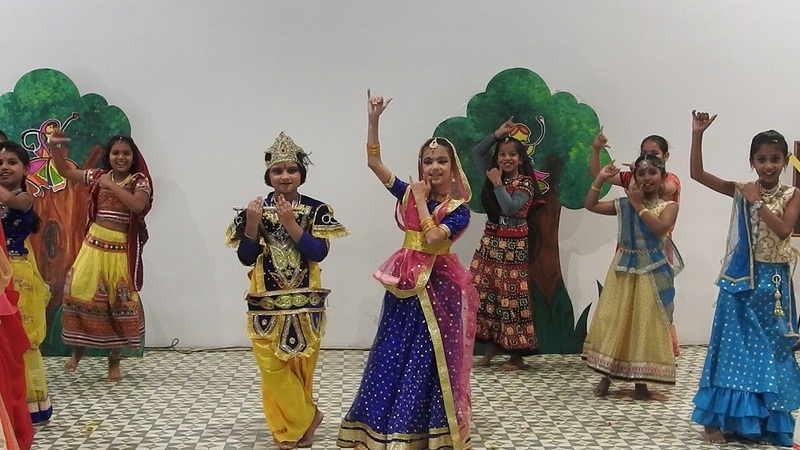 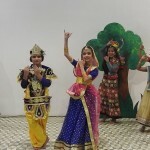 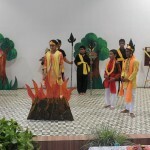 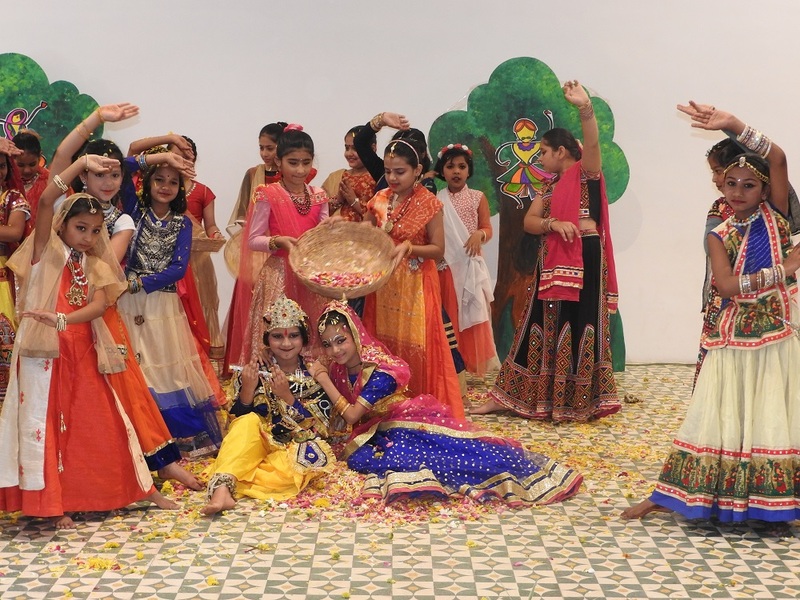 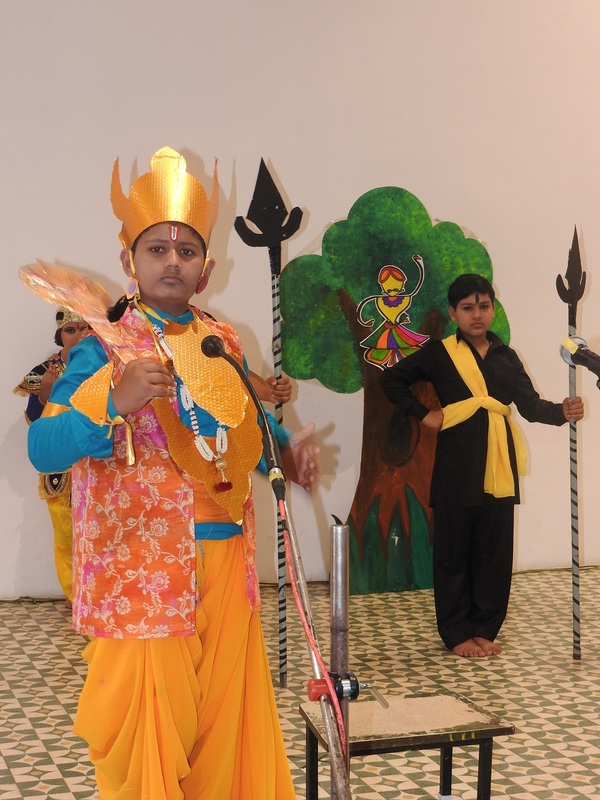 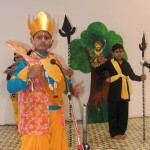 Our kids acted om ‘Holika Dahan’ along with Radha Krishan dance.